Launching your first AdWords campaign can be overwhelming, because there are so many elements that affect your conversion rates and ROI. You need to perfect your ad copy, select keywords that are most likely to convert, choose the right keyboard matching option, build custom landing pages around your keywords, segment ads and keywords with ad groups and understand a host of targeting options beyond your keyword list. The most perplexing part of AdWords campaigns for most advertisers is the quality score. Even many experienced marketers don’t pay enough attention to their quality score. Don’t make this mistake, because your quality score plays a very important role in your CPC. Many people are skeptical when they hear this. 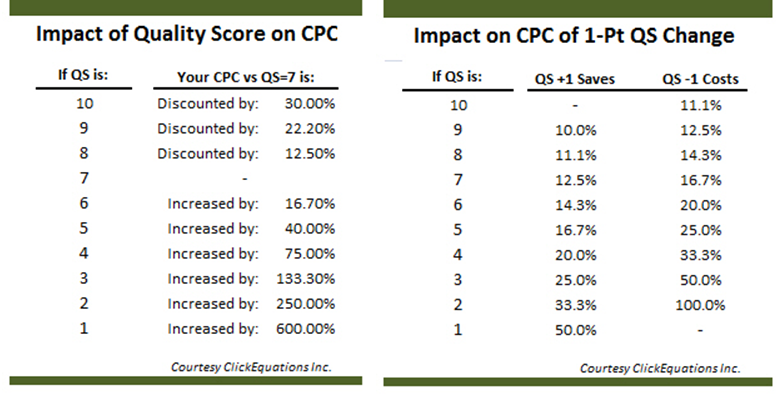 How much could boosting your quality score really affect your CPC? According to one analysis, a lot. Boosting your quality score from 7 to 10 will cause your CPC to fall by 30%. Raising it from 1 to 10 will cause your CPC to fall by nearly 85%! How can you improve your quality score to cut your advertising costs? There are a lot of tips that other guides cover, such as split-testing ads and using negative keywords. However, there are other options that fewer advertisers are aware of. According to one case study, Salesforce advertisers have been able to boost the ROI of their campaigns significantly by leveraging all data available to them. Let’s take a look at some of the least discussed AdWords hacks to improve your quality score and lower your CPC. You will notice that the keywords that listed above don’t have the same root phrases, so it was a mistake to incorporate them into the same ad group. My ad relevancy was not very high, because some of these keywords weren’t in any of my ads and the CTR for those keywords was below 3%. As a result, my quality score was only 4. I created different ad groups for each of these keywords and used phrase matching instead. I began adding negative keywords to my list as my ads ran. I built separate ads around each ad group based around that keyword. I was still direct linking to the credit score offer, so the landing page was not changed. My quality score was obviously different for each ad group, since the user intent for each keyword was different and some of my ads were probably better written than others. However, my average quality score rose from 4 to 6. My CPC dropped a little over 20% in the process. 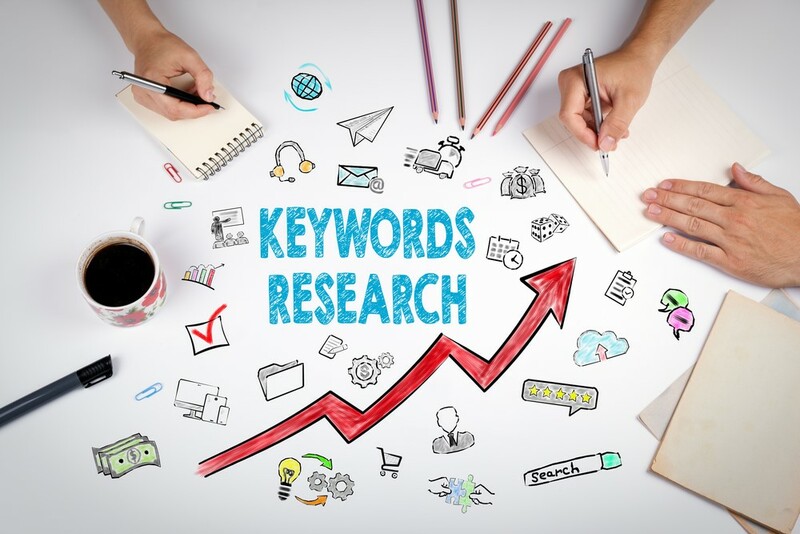 Finding the best converting keywords is the most important part of any AdWords campaign. Many AdWords guides focus on the benefits of using phrase matching with negative keyword lists. This is a great way to find hidden gems to add to your keyword list that even the most comprehensive keyword tool with miss. What most guides don’t focus on is the benefit of building niche angles around these keywords. You can significantly improve your quality score by understanding the intent of visitors using certain keywords and creating custom ads and landing pages around them. I first discovered this when I was running a campaign for a local employment agency. After spending $30 on my ads, I discovered that all three of my conversions came from search terms related to college students searching for jobs. Creating an ad group specifically for college students looking for jobs. Setting my age targeting to 18 to 24-year-olds. Building new ads around the pain points users in this demographic would feel. I created ads focusing on students looking for part-time jobs while attending school and others looking for temporary work near Christmas and summer vacation. The latter ads ran between November and December and from late April to early August. I made sure my landing pages were geared towards college students. This is important, because keeping your landing pages on point is vital for conversions, as well boosting your quality score. My images were of subjects in their early 20s, because my users would relate with them the best. As previous case studies have proven, choosing relevant images is key to creating a successful campaign. Of course, I included the keywords in the meta description and once in the landing page copy. After building an ad group around these angles, my quality score was an 8. It was only a 5 with my original campaign, which was a tremendous improvement. I don’t recall the exact change to my CPC, but recall that it dropped sharply. Existing data shows that some demographic groups are more likely to convert or cannot convert at all. If you are promoting Medicare plans for a local insurance agency, you would not want to pay for clicks from visitors under 65, because they would be too young to qualify for your plans and probably wouldn’t click anyways. You are using your AdWords campaign to promote a mobile app as part of your in-store marketing strategy. You don’t want to display your ads to desktop users, so you lower your bid for desktop users and raise it for mobile users. You are selling clothes specifically for women. Adding these targeting options is important for qualifying your leads, but it can also help boost your quality score as well. Your quality score plays a very important role in your CPC. The only way to boost is through split-testing. By following the tips listed above, you may be able to cut your CPC in half by creating campaigns with higher quality scores.